Believe it or not, your full-size Keltec can be comfortably concealed with an Alien Gear Keltec PMR 30 inside the waistband (IWB) concealed carry holster or outside the waistband (OWB) concealed carry holster. Every Keltec holster we make is engineered to give you a lifetime of optimal comfort and concealment. We at Alien Gear realize that may have some concerns about the adequate concealment of a gun as large as your PMR 30, especially if you do pack 30 rounds into the magazines. 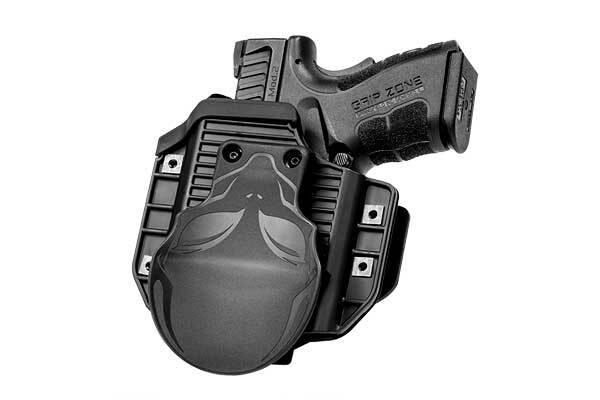 You can rest assured that your Alien Gear concealed carry holster will more than adequately do the job, because all of our holster shells are custom molded to perfectly fit your gun. In the market for an inside the waistband leather holster for your Keltec PMR? Alien Gear has just what you are after. The original Cloak Tuck has been our standard-bearer concealed carry holster for many years. This heavy duty IWB is made with the finest high-quality leather and comes in drum-dyed tan or black. 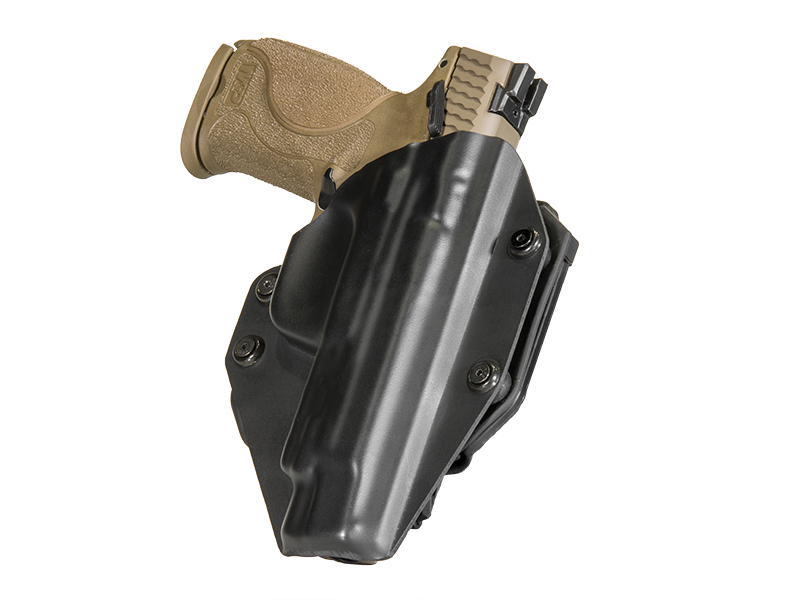 If you want a more technology minded IWB, we have our Cloak Tuck 3.0 Keltec PMR 30 concealed carry holster. 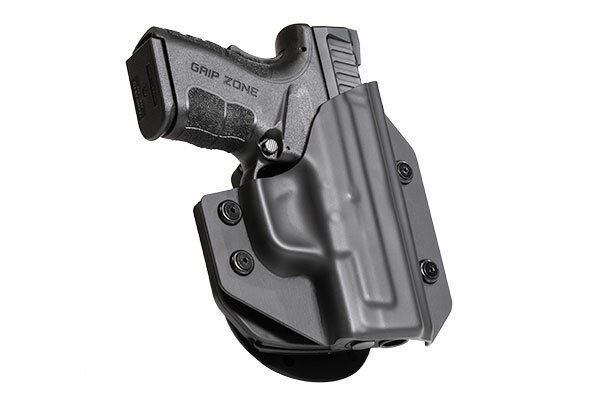 The retention plate in this holster has a core of stainless spring steel with another layer of ballistic nylon that make the 3.0 very durable and flexible at the same time. A specially textured “Alien Skin” surface has been added to reduce friction while maintaining a firm, secure grip on your handgun. For you folks that prefer a leather outside the waistband concealed carry holster for your PMR 30, Alien Gear makes the Cloak Slide model. This holster is more along the lines of the traditional belt slide leather holster. Like our Cloak Tuck, the Cloak Slide is available in black or natural tan colors. 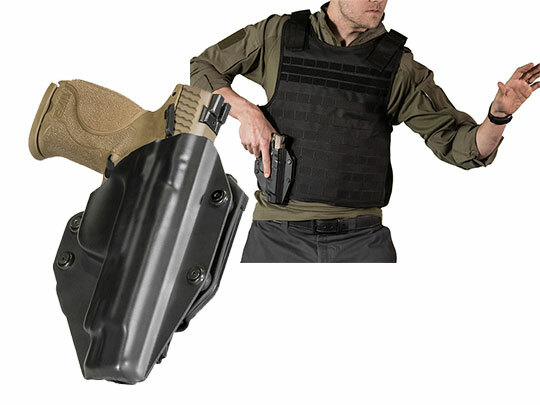 Customization and versatility are two unique qualities featured in our Keltec Cloak Mod Paddle OWB Holster. 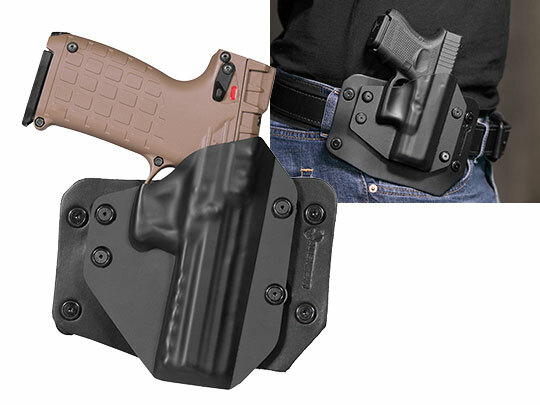 This holster can be worn as a paddle holster or as a belt slide holster. You get the option to switch back and forth from one configuration to the other depending on your needs. Changing from belt slide to paddle and back to belt slide is very simple to do. Adjustability is another great feature that Alien Gear Keltec PMR 30 concealed carry holsters bring to the table. 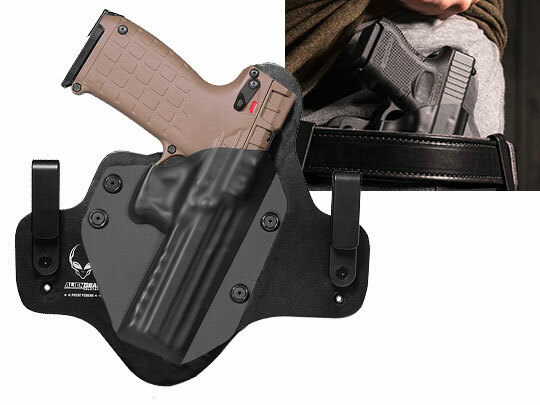 Our holsters come with “C” or “J” clips that allow you to adjust ride height and cant ankle. All it takes is to select the rubber spacers and flathead screw combinations that you feel give a comfortable yet secure carry. 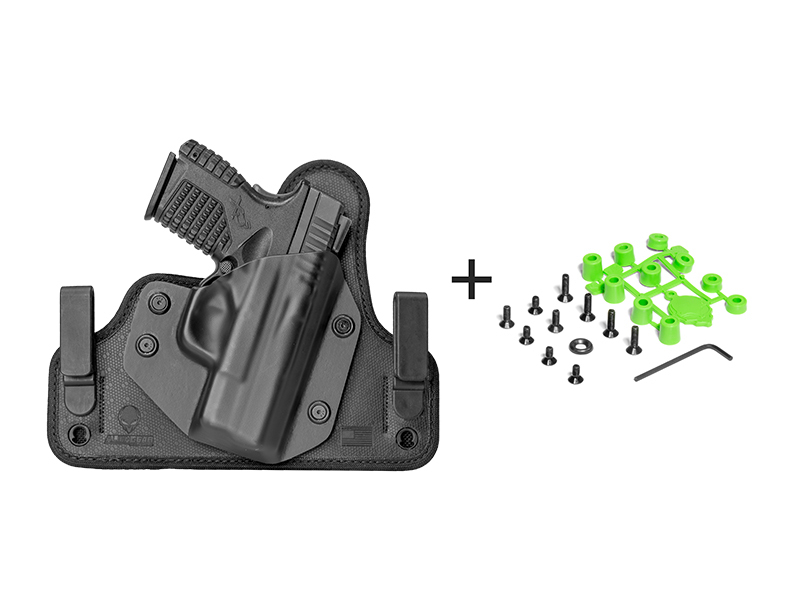 Everything you need to make these adjustments in included in the parts package that comes with every holster we sell. As always, all Alien Gear products are proudly crafted the USA and are backed by our Iron-Clad Triple Guarantee. You won’t find a better quality concealed carry Keltec holster anywhere else on the planet.